Hello! How is your Saturday going? If you went yesterday with us to Relish… I’m sure that you are in the bed right now. And the picture of the week is… Mercedes! Normally is very difficult get a picture from Mercedes… So we have to exploit this opportunity! 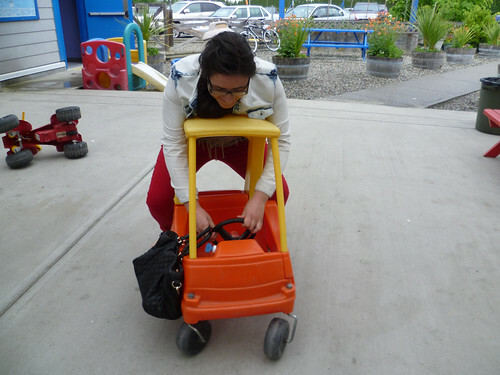 This photo was taken in Richmond Go-Kart, when Mercedes found her own Kart… cute, it isn’t? Mercedes said that she pretended to return to Spain in the car… so funny! We love u Mercedes!